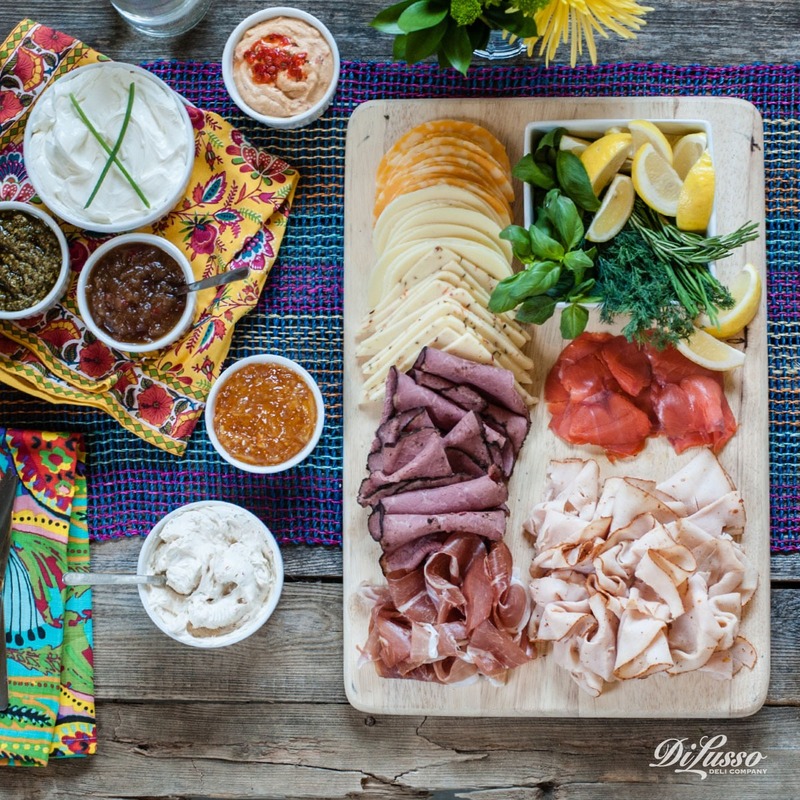 Fit to burst with unconventional toppings (this is so much more than your average cream cheese spread) and dramatic colors, this bagel bar quickly transforms into a delectable conversation piece. The flavors, the colors, the ambiance. Ahhhhhh. But what we like the best, and think you will too, is its simplicity and versatility. There’s no cooking or baking. You can easily scale it up or down depending on the size of your guest list, and there’s enough variety that everyone will find something to enjoy. 1. Color: Use ingredients that are vibrant and rich. Don’t be afraid to overlay multiple patterns. 2. Texture: Top your surface with a fun cloth or table runner. Mix and match serving dishes. 3. Details: If you’re celebrating someone, include elements that will make them feel extra special. 4. Variety: Include an assortment of flavors to cater to palates of all kinds – herbal, fruity, salty, spicy. Start with a tasty base. 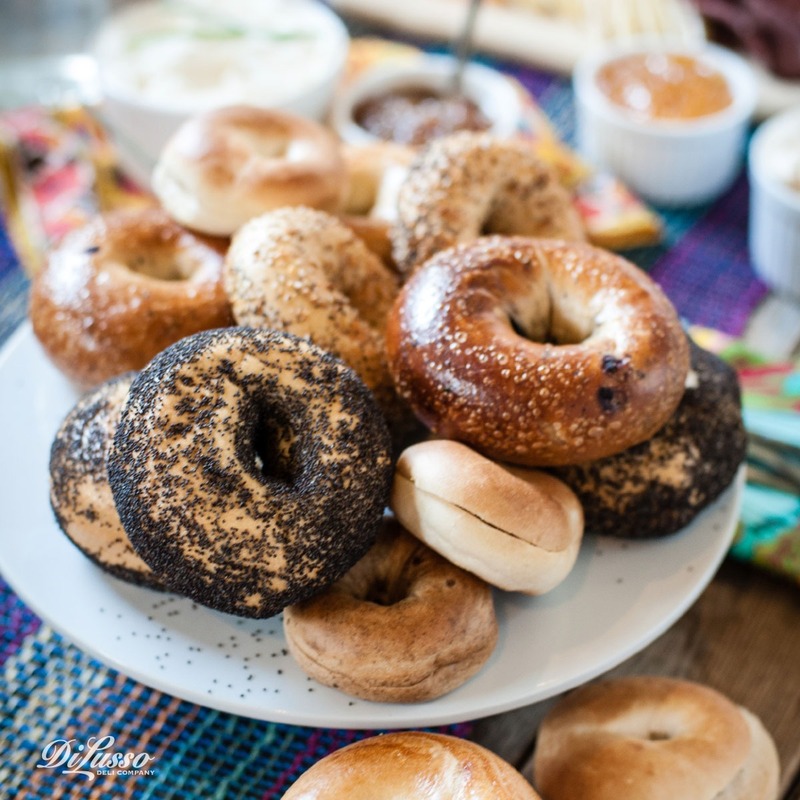 Fresh bagels are best. If you can, pick them up just a few hours before the fun begins. 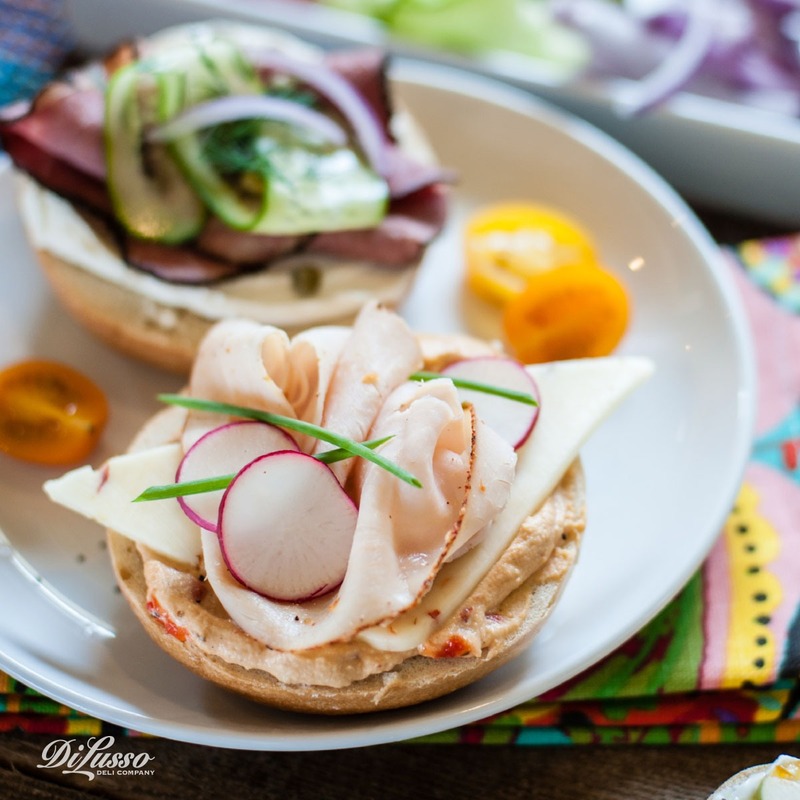 Consider using mini bagels so guests can try out a few different combinations without overindulging. For a toasty twist, pop halved bagels in the oven for about a minute right before guests arrive. This little extra crunch makes a big difference in terms of texture. Run the gamut with spreads. Jam and a chocolate spread for those with a sweet tooth. 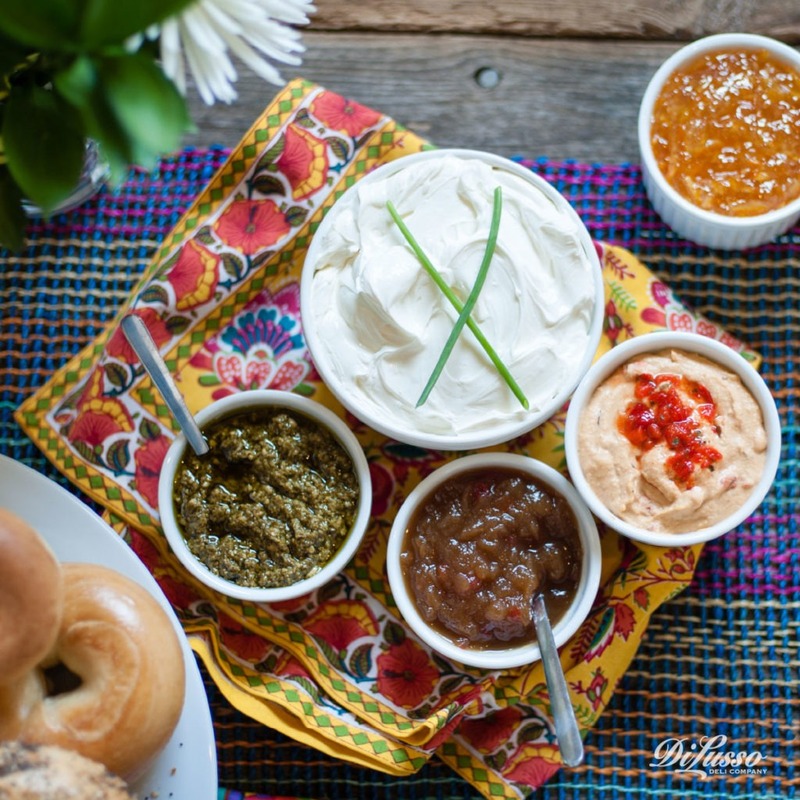 Savory options like hummus, pesto and roasted vegetable cream cheese. For the best of both worlds, look no further than sweet onion sauce. Take these condiments from their packaging and place in small bowls. Elegant smoked salmon, prosciutto, pastrami and sun-dried tomato turkey breast each have a distinct flavor profile that uniquely compliments different ingredients. Not to mention the delightful coloring of each. 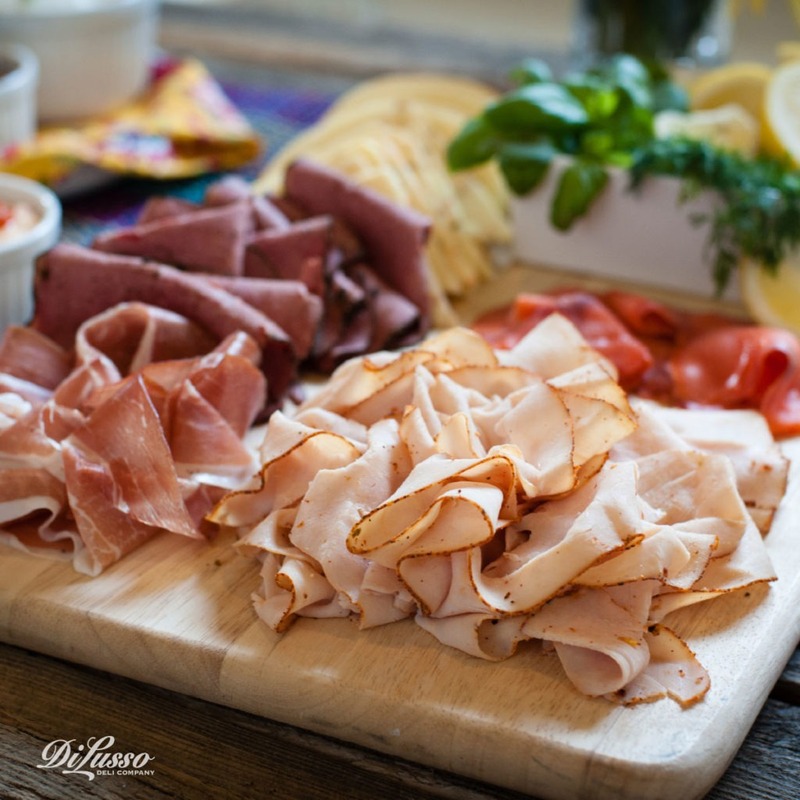 Marbled, pastel pink prosciutto with rich Italian spices. Bold red pastrami with a graceful fringe of black pepper. Try arranging these on a wooden cutting board. This bagel bar wouldn’t be complete without cheese. Guests looking for a little zing will flock toward chipotle cheddar or habañero jack. While those with a taste for smoky-sweet will reach for gouda. It’s also nice to have milder varieties, like colby jack and mozzarella, on hand for more sensitive palates. 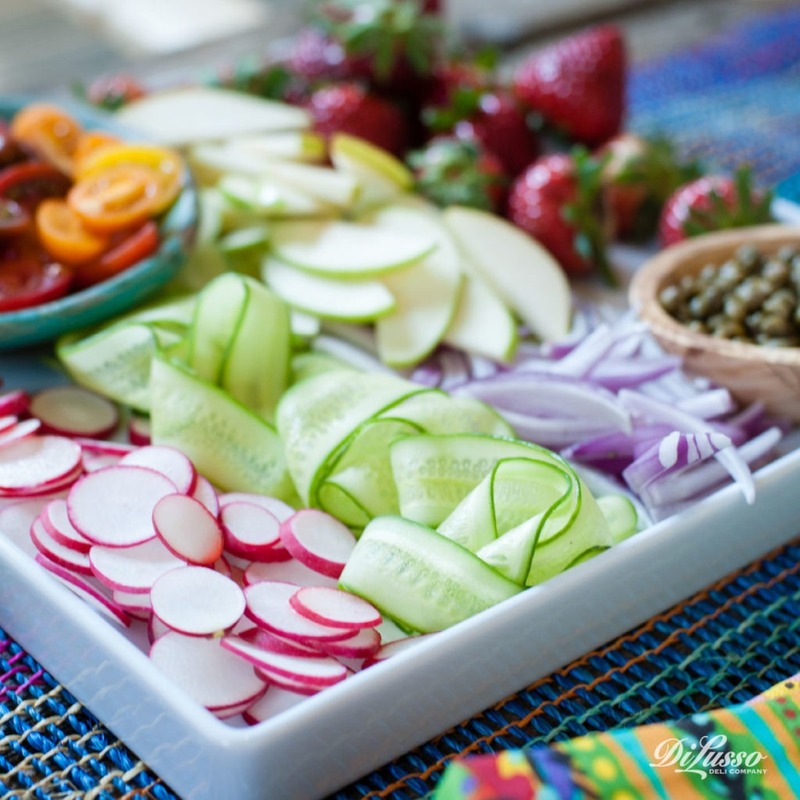 For a refreshing crunch and an exquisite burst of color, lay thinly sliced cucumbers, radishes, red onions and heirloom tomatoes on simple, white dishes. These delicate veggies really pop in contrast to a white backdrop. And last but not least, make sure to include some flavor enhancers like fresh lemon wedges, dill, rosemary and basil. Sprinkle a pinch or two of fresh herbs on your savory cream cheeses for a touch of elegance.